Note: If you want to know the full context of why we believe Facebook has totally changed the game. Click here to zoom right down to the tips on how to win on Facebook Advertising, despite the constant updates. The times are changing at Facebook. With content exploding on the social network at an exponential rate, the reins are tightening on users’ news feed experiences. The move is described by Facebook as an effort to improve user experience and increase interactivity. Facebook has confidence that it knows what its users are most interested in, and it structures its newsfeeds accordingly. Facebook has long employed an algorithm to determine which stories appear in its users’ newsfeeds. The inner workings of this algorithm are a mystery. But Facebook claims that the sole aim of the algorithm is to provide the best newsfeed experience possible and limit users’ interactions with unwanted content. 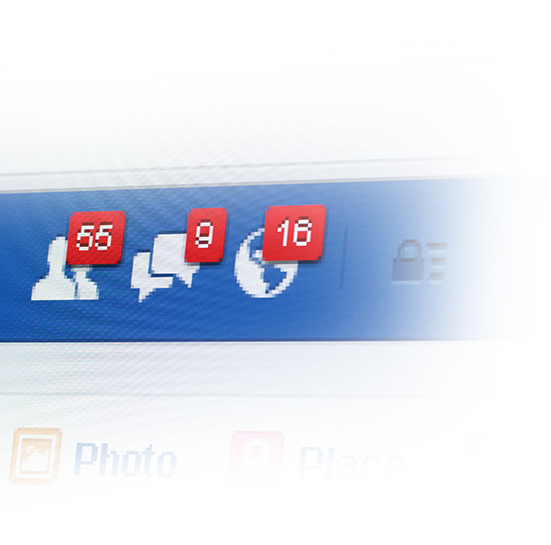 Whatever Facebook’s intentions, for many users, the algorithm is a source of frustration. In the recent hit indie film, Boyhood, the film’s naturally-aging protagonist, Mason (Ellar Coltrane), shows a great deal of concern about the dangers of modern information technology. In one scene, Mason wonders to his mother whether colleges might start using social media algorithms to determine ideal college roommate pairings. Mason’s concern is that society has begun to let information technology in general, and social media specifically, determine what and who we interact with. At least as far as Facebook’s practices go, Mason isn’t too far from the truth. 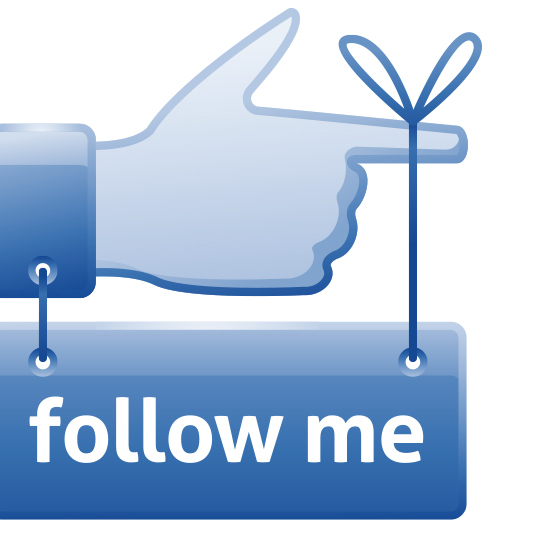 The content you interact with on Facebook is up to Facebook. Facebook gets to decide whether your cousin’s baby-shower photos show up on your newsfeed or not; and as bad as that seems, from a marketing perspective, the Facebook algorithm is an even bigger headache. 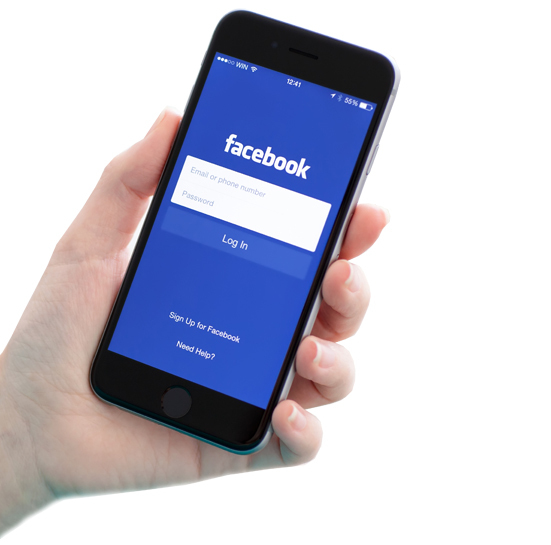 It’s important to realize that no matter how you structure your social media strategy, Facebook has complete control over what pieces of your content will be visible to your clients and patients. Recently, Facebook has come to the decision that the percentage of your posts your potential patients would like to see is somewhere very close to 0. Say your practice has created a fun, informative, interactive Facebook page filled with eye-catching photos, links, and videos. You’ve built a strong social media presence, accruing likes by the bucketful. In an ideal world, the benefits of organic reach would kick in from there. 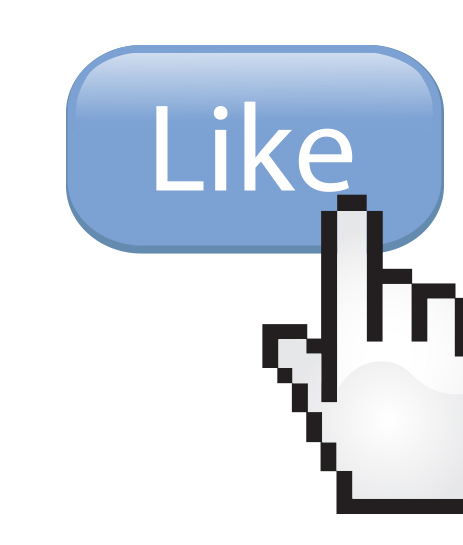 Your page’s likes would facilitate strong social network bonds between your followers. Your content would appear frequently on their newsfeeds, and your strategic offers and calls-to-action would draw them down the sales funnel. Even better, your posts would accompany your followers back to their networks of friends, exposing your practice to a much broader field of clients and patients. But we do not live an ideal world. 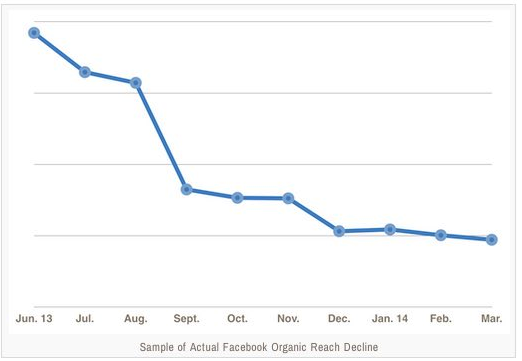 Organic reach is on its way out. At the peak of organic search, Facebook’s algorithm allowed visibility for about 60% of your content. That number subsequently dipped down to about 30%. These days, your content is only being seen by about 2% of your followers. Graph provided by: ReGroup.us This means that all the extra work that you’re doing, all the time you’re spending on clever and informational pitches – all of this is becoming a misuse of the valuable money and time that you put into marketing. With a strategy based around organic reach, Eat24 couldn’t cut the pasta in the new Facebook system. But though organic search should now be looked at as a thing of the past, this does not mean that your practice doesn’t have a future on Facebook. All it means is that to succeed, your practice must adopt new strategies for reaching clients and patients. So, what does this brave new world look like? 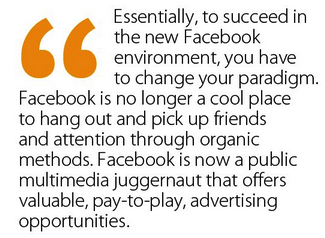 Essentially, to succeed in the new Facebook environment, you have to change your paradigm. Facebook is no longer a cool place to hang out and pick up friends and attention through organic methods. Facebook is now a public multimedia juggernaut that offers valuable, pay-to-play, advertising opportunities. This seems like a good time for a metaphor. Imagine Facebook in its early days as a hip new city park. With its natural appeal as a place to meet up and hangout, the park drew a lot of people. In time, businesses started to realize that they could reach potential clients by sending representatives into the park to interact with the common folk. Months and years went by harmoniously. The park continued to add new features and attract more people and businesses maintained friendly relationships as a part of the crowd. But in an indiscernible moment, a tipping point was reached. The park became less of a fun hangout space, and more of a shouting match, everyone trying to slip a word in edgewise. Seeing both that the opportunity for economic gain and the crumbling of its hip beginnings, park officials sprang into action. They sent rangers into the park to monitor unruly guests, and they set up sectioned-off booths for business representatives to occupy. These booths demanded financial investment from business owners, but it was a price that was worth paying to remain in the sightlines of the park’s numerous guests, even if the former direct contact was now limited. 1) Invest in Facebook real estate. Joe McCaffrey, lead planner for social media at the digital agency Huge, explains that in this era your utilization of Facebook should be geared around getting clicks and impressions, rather than around social interaction. McCaffrey compares Facebook to broadcast television. For your purposes, it’s now primarily a place where millions of eyes gather – eyes that could be getting exposure to your brand. To connect back to our metaphor – even if you can’t directly connect with park-goers; it’s still better to be a visible presence in the park than to not be in the park at all. But it’s not just about being in the park, it’s about creating a positive impression. 2) Put your best foot forward. Once you have invested in promoted posts and banner ads, it is crucial that you make the most of them. Brand Networks lists several ideas about how to optimize your Facebook content. 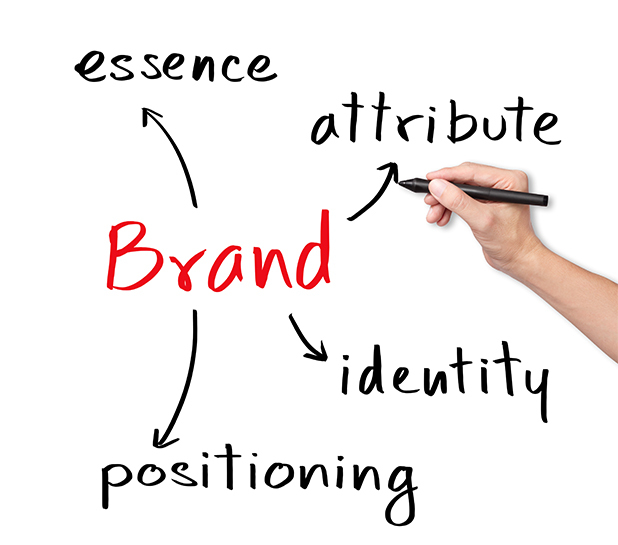 The key is to make your brand engaging and relevant. From a layout perspective, this means employing high quality photos and links that are fitted to the ad space you are allotted. From a content perspective, it means connecting to Facebook users in a real way. For example, let’s say there was a topical national news story about an injured athlete. A recent example that springs to mind is the shocking announcement of presumed NBA #1 draft pick, Joel Embiid’s, foot injury just a week before the draft. Find a way to reference things people know and care about. Not only will it draw interest, but it will prove to potential patients and clients that you are real people, not just marketing autobots. 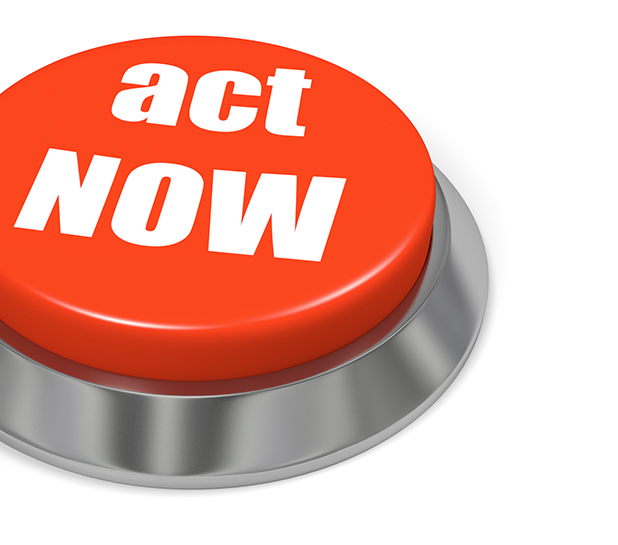 In designing content, calls-to-action are also a crucial ingredient. 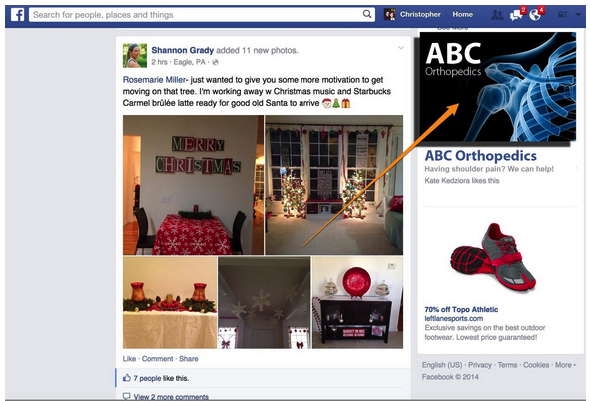 Slap a “Learn More” or “Schedule an Appointment” button on your post and draw Facebook users directly into the sales funnel. A minute ago, we talked about how Facebook should be compared to network TV, in the sense that both provide the opportunity for your brand to be seen by millions of eyes. But luckily for you, Facebook provides tools that blow television out of the water. Let’s say hypothetically, you manage an orthopedic practice. There are clearly potential clients who would be more interested in your services than others. Namely, we’re looking at athletes – high school athletes, college athletes, professional athletes, joggers, bikers, and don’t forget the middle-aged dads who show up for rec-league basketball every week. We’re also looking at parents of athletes, who, especially in the case of high school students, have more say about the administration of care. Let Facebook work with you to establish forms of interruption marketing with your target demographics. Even without clicks, you will still be forming impressions in the minds of individuals who may require your services down the road. Here’s some good news for you. Your influence in the lives of Facebook users does not end when they venture out from the social media platform to the far reaches of the world wide web. Through a process known as remarketing, you can drop cookies onto the browsers of potential patients and clients. We’ve all experienced this. One search to confirm that the official boxed set of A Song of Ice and Fire is still well out of your price range, and all of the sudden Game of Thrones and George R.R. Martin start popping up in all sorts of unexpected places. Drop cookies and stay on the minds of your target market. Other forms of this approach can happen when visitors come to your website. It is a very simple process to drop cookie for Re-Marketing / Re-Targeting on the users computer so that your banner ads follow them around for 30 – 45 days. To take it to the next level we recommend that your ads are hit your potential clients when they are at the right part of the buyers journey. For more information on buyers journeys, tune in next week. Our blog details out to convert more leads by understanding where your leads fall in the buyers journey. Facebook still has a lot to offer to those who are willing to up their marketing game. If you play your cards right, your name will be the first that pops into patients heads when it comes time for them to seek orthopedic care. For more information on social media, please click get a free 1 hour marketing assessment.